People love you everywhere you go Hazel. Children cross the street to say hello, Hazel. It’s your personality that wins them over. You may never be a millionaire Hazel. Count your friends and you don’t have a care, Hazel. You’ve got a heart of solid gold. 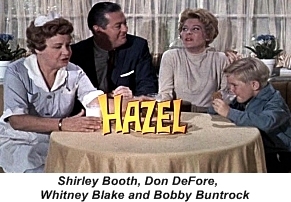 George Baxter (Don DeFore) is a successful attorney who has a lovely wife, Dorothy (Whitney Blake), a perfect son, Harold (Bobby Buntrock), a good dog, Smiley and a take charge live-in housekeeper Hazel (Shirley Booth). Poor George does his best to act like a head of household but Hazel inevitably gets her way in almost all things. Not only does Hazel run the Baxter’s house but she also manages to mettle in the neighbors homes and even some community activities. 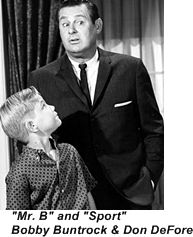 She means well and her end game is always to get the best for the family or young Harold whom she calls “sport”. As a matter of fact she has nicknames for the whole family calling George “Mr. 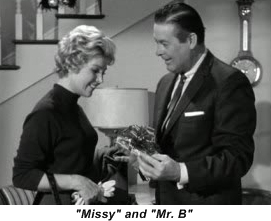 B”, and Dorothy “Missy”. 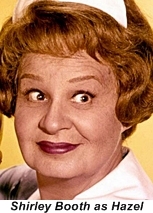 The only characters she doesn’t manage to win over are George’s uptight sister Deirdre Thompson (Cathy Lewis) and his gruff client Harvey Griffin (Howard Smith). Even George’s partners in his law firm seem to love Hazel and will take her side in disputes with “Mr. B”. After four seasons NBC cancels the show and CBS picks it up. Hoping to appeal to a younger demographic they send the Baxters to Saudi Arabia (and out of the show) and have Hazel move in with George’s younger brother and his younger family… get the trend here! 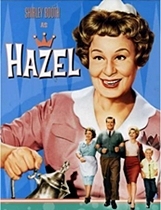 The ploy didn’t work and ratings kept slipping so Hazel was canceled again, this time for good. 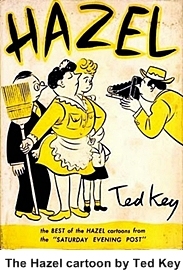 Hazel was based on a popular comic strip of the same name by cartoonist Ted Key. 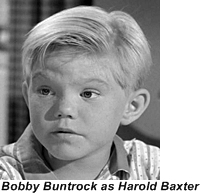 The Baxter’s house or the facade used for the exterior shots was the same house/facade as would later be used as Gidget’s house. If you look at the house next door closely enough you’ll recognize it as Darrin and Samantha Steven’s house foam Bewitched.